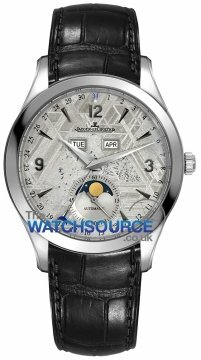 Jaeger LeCoultre watches can be traced back to 1833 when Antoine LeCoultre established a small workshop in Le Sentier in Switzerland where the Jaeger LeCoultre Company can still be found today. The company’s founder can be accredited with revolutionising many areas of watch making; the most notable is in 1844 with the invention of the millionmetre, the world’s most precise measuring instrument of the time. Three years later he invented the first keyless watch. At the first universal exhibition in 1851 LeCoultre earned a gold medal for a range of feats in watch manufacturing. In 1866 the company brought everything under one roof and was the first manufacturer in the famous Joux valley which also leads to the first mechanised production process for complicated movements. Over the next few decades Jaeger LeCoultre built over 500 calibres with complications and in 1888 the company employed over 500 people and new manufacturing methods meant the company could produce more accurate and reliable movements. The name Jaeger LeCoultre was not formed until 1937 when a partnership was formed between Edmond Jaeger and Jacques-David LeCoultre. Jaeger was a watchmaker who set up in Paris and supplied watches to the French Navy before meeting LeCoultre. 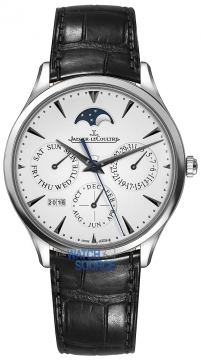 Throughout the 20th century Jaeger LeCoultre played a large role in the development of wristwatches including the world thinnest watch in 1907 (1.38mm) ,the worlds smallest calibre(101) in 1925, and the world’s smallest movement in 1929 which weighted only 1 gram. Jaeger LeCoultre produced their first Reverso in 1931 a model which became synonymous with the brand. Jaeger LeCoultre also produced the first calendar on watches in the thirties and during World War II the company built watches for pilots in the RAF and US army. In the forties Jaeger LeCoultre produced their first automatic and also their fist chronograph watches. In the early nineties Jaeger LeCoultre introduced their 1000 hour test for all watches manufactured which set a very high standard for production. In the latter half of the 20th century and in the 21st century Jaeger LeCoultre continued its love for complicated movements producing many tourbillion watches and Grand Complications. 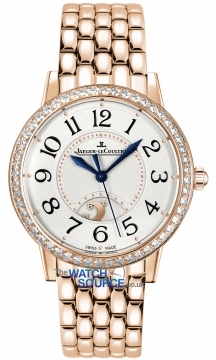 In 2000 Jaeger LeCoultre watches joined the Richemont Group.